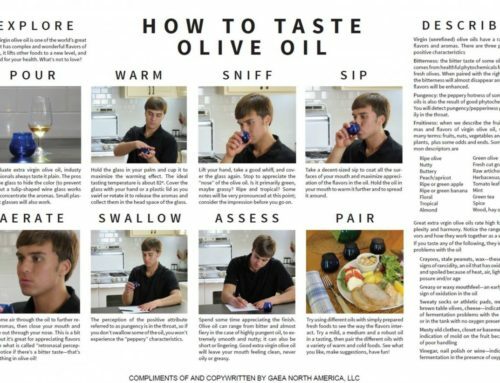 In the last blog post, you read about how to taste olive oil. Now you know that in order to get the full sensory experience an oil has to offer, you should warm the oil gently, inhale the aroma, aerate the liquid in your mouth and experience that tingly sensation at the back of your throat. But now that you’re an expert on the process of tasting, how do you know what to taste for? 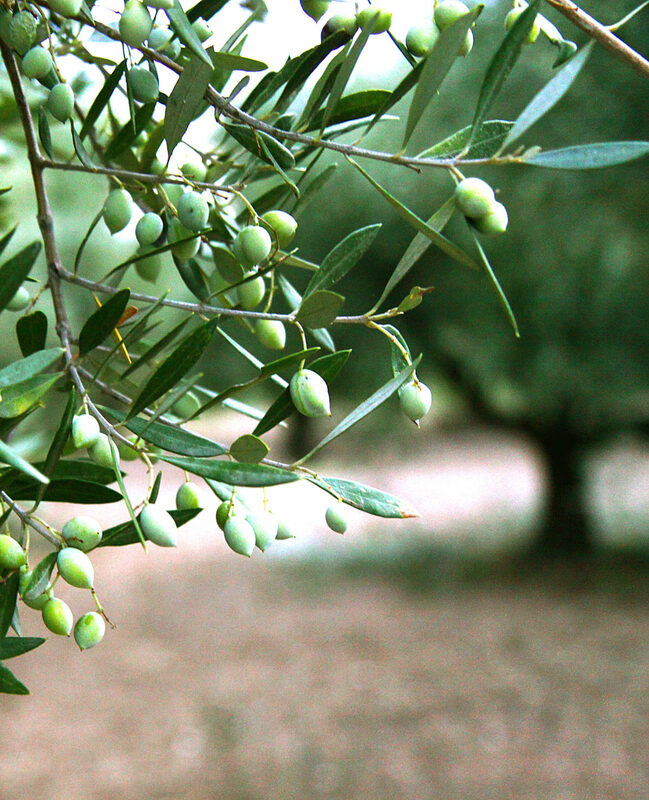 Extra-virgin olive oil has a complex array of flavors and aromas. Where to start? These sensations are clues that you have a quality, fresh oil on your hands. Bitter: Bitterness is detected on the back of the tongue. In big doses, bitterness is a sign of poison, but a little bitterness makes food interesting and wonderful—think dark chocolate and coffee. 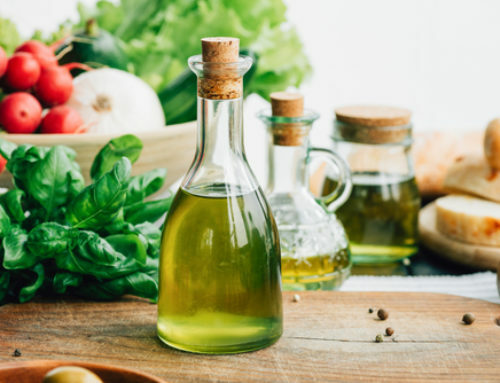 Bitterness is a key component of an olive oil’s balance of flavors, and a sign of abundant super-healthy antioxidants. Oil made from riper fruit will have much less bitterness, while oil made from greener fruit tends to be quite bitter. Pungent: That fiery feeling in the back of your throat is called pungency. The peppery sensation is a sign of the olive oil’s freshness. More is not necessarily better. For example, Gaea Kalamata D.O.P. is more pungent than the fruitier Gaea Sitia D.O.P.—they’re both beautiful, award-winning oils and perfect for different applications (more on that in a future blog post!). There’s a wonderful, vast world of olive oil flavors and sensations out there to explore. Rancid: Rancidity is the most common defect, and it happens when an oil has undergone oxidation. Oxidation can occur either before or after bottling, especially if a bottle has been exposed to light and heat. 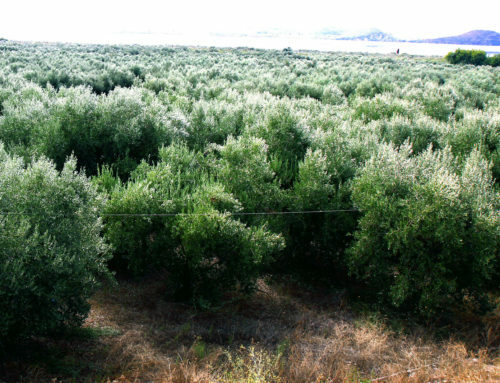 This is why it’s so important for olive oil to be fresh. Look for the harvest date on the bottle. If there is none, that’s a warning sign. All of Gaea’s olive oils are stored in tanks containing nitrogen in order to slow down ageing and kept under a controlled temperature, in a lightless environment. All of Gaea’s extra virgin olive oils are bottled in dark bottles to restrict light absorption and protect the oil. 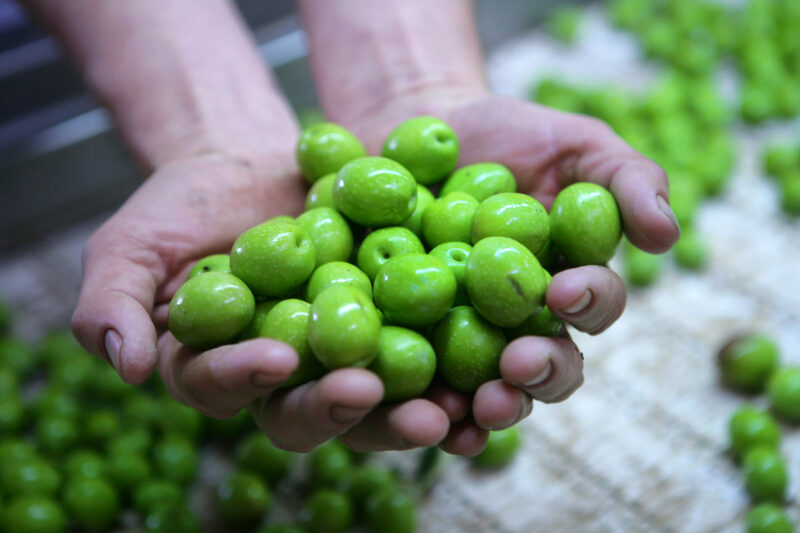 Fusty: This off flavor is the result of olives being stored in piles prior to pressing, which leads to anaerobic (without oxygen) fermentation. 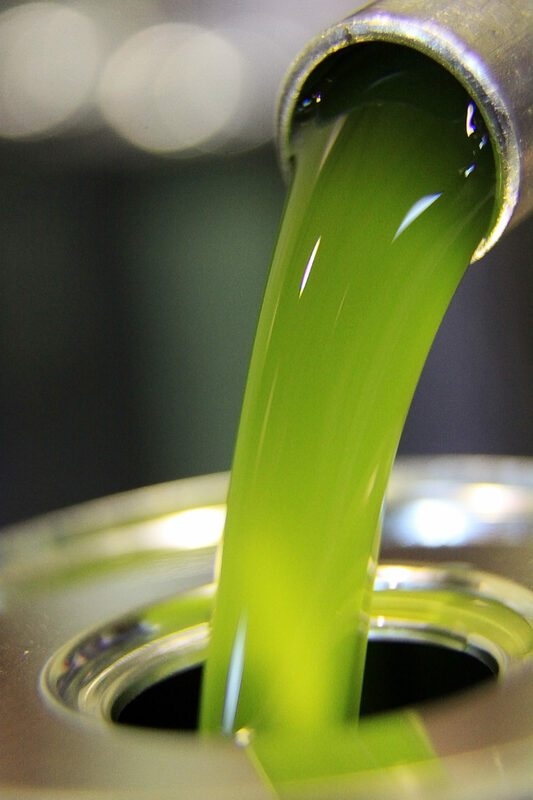 Gaea’s olive oils are cold pressed just a few hours after harvesting, so fustiness is never a problem. 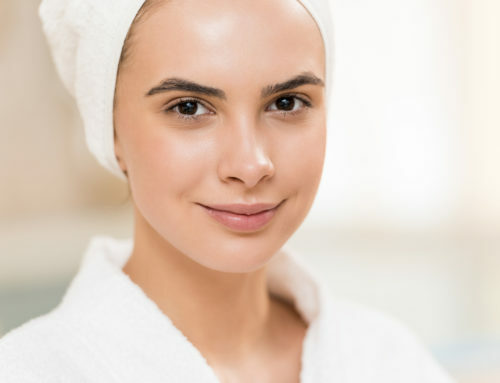 Musty: This moldy flavor happens when olives develop fungi and yeast from lingering in humid conditions for several days. Again, this is never a possibility with Gaea’s oils! This is just the tip of the iceberg, but we hope it helps you begin. 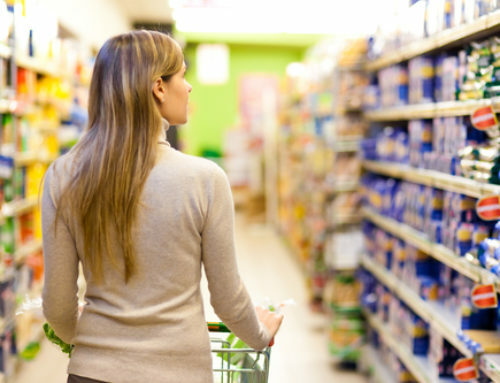 So how can you decide whether it’s worth shelling out your hard-earned cash for a bottle of olive oil at a store? Unfortunately, you can’t know for sure unless you buy it, smell it, taste it and judge it based on these guidelines. That’s why it’s great to rely on a favorite quality olive oil you know you can trust. Here’s a hint: you can always count on Gaea olive oils to meet and exceed all claims.